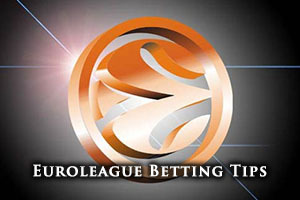 This is yet another rematch of last season’s Euroleague final, a game that Maccabi Electra Tel Aviv were triumphant in. The Israeli side can also point to the fact that they defeated Madrid earlier on this year in Tel Aviv when a 90-86 home win helped to kick start the Maccabi Top 16 campaign. Sofoklis Schortsanitis was in tremendous form in that game. Madrid lost out in Athens last week but they know if they win this match, they clinch home advantage in the playoffs so there is a lot to play for. They also know that if they win it clinches home advantage for Barcelona as well but Madrid can’t dwell on that. Maccabi may have a playoff place guaranteed before they take to the court because if Alba Berlin loses on Thursday night, the Israeli side are unassailable for the playoffs. That could impact on their desire to win the game but Maccabi will always be keen to get one over their rivals. This is a game between two teams with strong records in the Euroleague this season, so it is a match that will have plenty of interest. Madrid hold a 17-4 record this season, which includes an 8-2 record in the regular season and a 9-2 record in the Top 16. Their opponents hold a 14-7 record this campaign, which includes a 7-3 record in the regular season and the Israeli side holds a 7-4 status in the Top 16. With respect to average points scored, Real Madrid have a clear edge, leading 87.2 to 78.0. Felipe Reyes has been one of the best players for the Spanish side this season and his form has been instrumental in maintaining the push for the Euroleague title. Reyes has delivered an average of 11.7 points per game this season for the Spanish side but he has also managed to deliver an average of 6.0 rebounds per game for his team as well. He has been ably supported by a strong cast of players in Madrid and Sergio Rodriguez has provided an average of 5.7 assists per game this season. The reigning Euroleague champions are still in a good position this season, but they know that they need a result to push pressure on Barcelona and the hosts in the race for home advantage in the playoffs. Devin Smith has been an integral player for the Israeli side this campaign, providing an average of 15.2 points per game this season. He has also offered up an average of 6.2 rebounds per game this campaign. Jeremy Pargo has provided an average 5.2 assists per game this season for Maccabi. Real Madrid are currently in second place in the Spanish league with a 20-5 record, which is one place behind Unicaja Malaga who hold a 21-4 record. The most recent domestic outing for Real was an 86-79 defeat to UCAM Murcia. The bookmakers are tipping the home side to win this comfortably but taking Maccabi Electra Tel Aviv with a +11.5 handicap, at odds of 1.90, is likely to be a sound bet for most people on Friday night. If you are looking to take advantage of the Over/Under market, you should look to go OVER 161.5 with odds of 1.90.